The Obama administration has prosecuted more whistleblowers under the Espionage Act than all other administrations combined. Join a campaign to demand a pardon for one of them. EDITOR’S NOTE: The Nation recently launched a metered paywall, under which non-subscribers will have access to 6 articles within a 30-day period. However, posts about The Nation's online activism campaigns will remain free for everyone and will not count toward readers' 6 free articles. For more about our metered paywall, click here. The Obama administration has prosecuted more whistleblowers under the Espionage Act than all previous administrations combined. One of the victims of the White House’s zeal is Jeffrey Sterling, a whistleblower accused of giving details of a secret CIA operation to journalist James Risen. 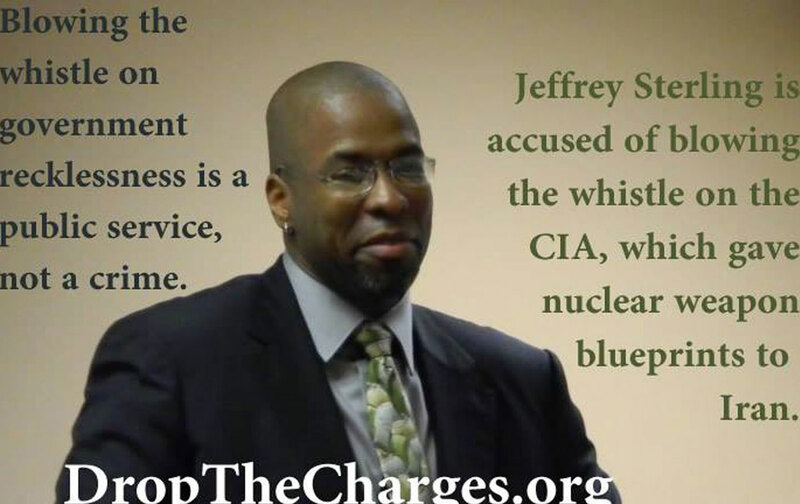 My husband Jeffrey Sterling is a former C.I.A. operative and an innocent man who was convicted of seven counts of espionage on January 26, 2015—for merely communicating with New York Times journalist James Risen. He’s now serving a 3.5-year prison sentence in a federal correctional facility in Colorado. This is an outrageous miscarriage of justice. My husband was wrongfully sentenced to prison simply because he was in touch with a journalist. During Jeffrey’s trial, the Department of Justice was unable to present any direct evidence proving that he divulged classified information to Risen. They relied on circumstantial evidence—emails and telephone conversations—to try to make a case to a jury who would likely favor his conviction. Jeffrey utilized proper channels and informed the Senate Select Committee on Intelligence of his concern for the safety of the American people—as such, Jeffrey is a whistleblower. The Nation, RootsAction, Reporters Without Borders, and the Center for Media and Democracy have joined with Holly Sterling to call for President Obama issue a pardon. Sign our petition and share it on Facebook and Twitter. For more on Jeffrey Sterling’s trial, read Norman Solomon and Marcy Wheeler’s piece in The Nation, “The Government War Against Reporter James Risen,” as well as Solomon’s coverage of Sterling’s sentencing and the government’s use of cases like his to intimidate potential whistleblowers.